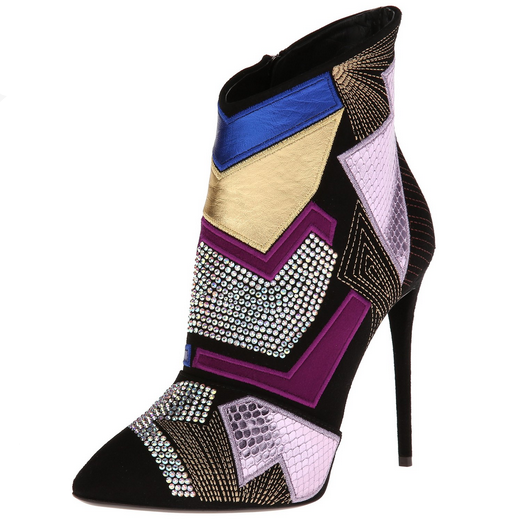 The amazingness of this Winter heel can't be described. Clear detail are the best! With dainty gold studs? Yes! Unexpected and great pop of color. The full puzzle spells perfection. Smoooooth leopard! Bravo Stella McCartney x Adidas! Army vibe on these sleek kicks. Halloween is coming... And these are SLICK. Wrap your feet in a nice little present <3 ohhhh Charlotte O, love her.